Only one win on its now-completed four-game road trip and a 1-4 showing overall its past five games hasn’t plucked the Wild from the playoff picture forming in the Western Conference, but it has sent the team skidding into the three-day holiday break – a lull in the schedule that now appears as a much-needed reprieve to regroup. That was a hallmark of last season’s group and with much of the core still on the ice for the team, rediscovering that rhythm is key. "Every team, it's peaks and valleys and you try and stay with the peaks as long as you can and the valleys as short as you can,” winger Daniel Winnik said. “Hopefully this is just a short valley for us. We have three days to regroup, come back and play right away and hopefully get a win." Here’s what else to watch for after the Wild’s loss to the Lightning. Niederreiter left Friday’s game following just four shifts in the first period, skating off gingerly while lifting his left leg as if to not put any weight on it after he was hit with a clearing attempt along the boards in the corner. The Wild’s penalty kill did an admirable job against the Lightning, once again playing a significant role. Tampa Bay was unsuccessful on all six of its chances, blanking on six shots – none of which came during a 5-on-3 advantage in the third period. “Anytime you kill a 5-on-3, it lifts up the whole bench,” Stalock said. 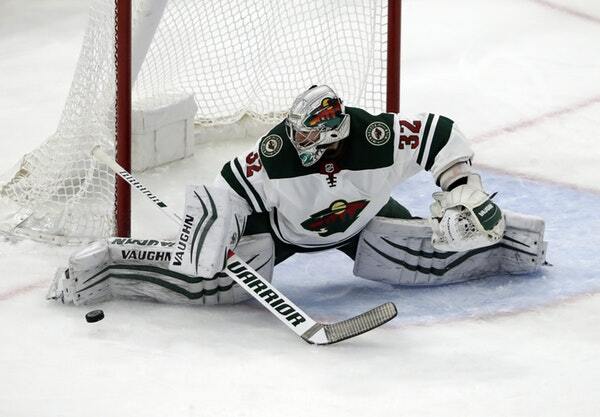 With captain Mikko Koivu in the box for slashing, defenseman Ryan Suter was called for interference after he knocked the stick out of center Tyler Johnson’s hands – the second time Johnson lost his stick on the same play. But the willingness of the penalty kills to do what it took to keep the puck out was noteworthy, with Winnik and defenseman Jonas Brodin coming up with huge shot blocks. “Hopefully if we put efforts in like that every night, we should get points out of those games,” Winnik said. With this the second half of a back-to-back and with the team shorthanded so many times, fatigue could have been a factor but Stalock didn’t sense that from the players in front of him. **Wishing you all a Merry Christmas, and thank you for reading! My colleague Megan Ryan will be covering the team when it resumes play after the break against the Stars and Predators. I’ll be back for the Dec.30 game against the Predators. Follow Megan on Twitter @theothermegryan.